Sometimes finding what to write about every month is a difficult task. So how do I find inspiration? Well, I’m part of what I like to call the “Bullet Point Generation” so, naturally, I turn to Google. A quick search on “Literacy in October” provided me with so many resources. Which is perfect, because our blog theme for the month is all about resources! Nearly every month has an awareness campaign. Most people recognize October as Breast Cancer Awareness month. America tends to turn pink during the month. 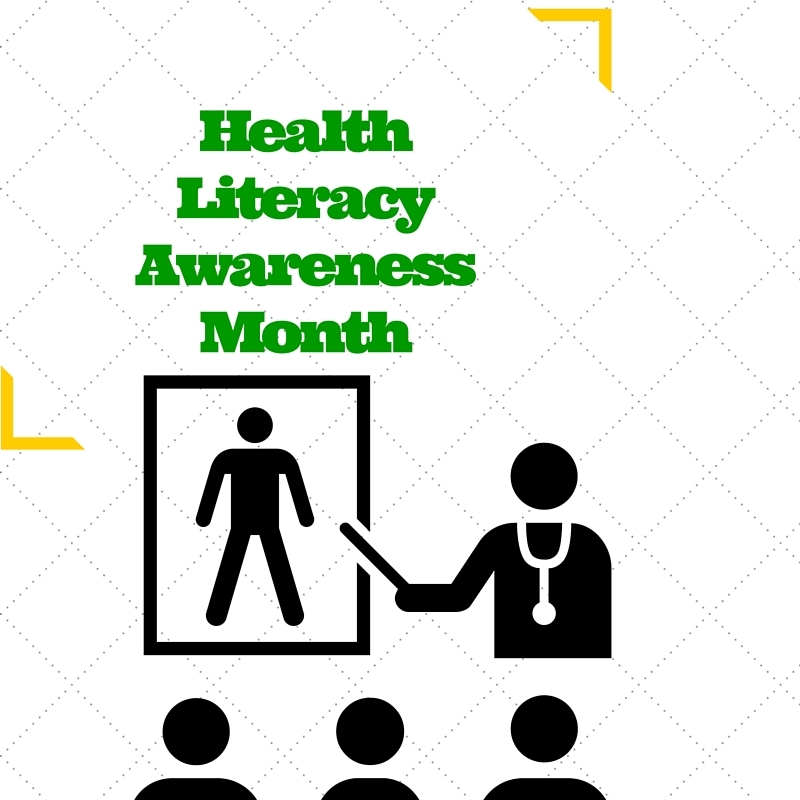 But did you know that October is also Health Literacy Month? Health literacy is fairly daunting. There’s so much information out there, and it changes constantly. Are we supposed to eat high protein/low carb or healthy fats or gluten free or vegetarian? What should our cardio/strength training ratio be? And that’s just the diet and exercise portion of our health. What about taking medications, home remedies for minor injuries, or reading a doctor’s instructions for recovery? It’s a difficult enough task to research for those of us who are good readers. Imagine trying to figure it all out having a low literacy level! So how do our students acquire this information? Unfortunately, they usually don’t. Low literacy has been linked to poor health outcomes and higher healthcare costs. 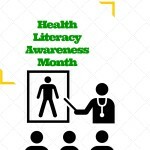 Low literacy learners tend to have more frequent hospital visits and don’t utilize preventative care, such as mammograms and colonoscopies. Furthermore, those with low literacy are more likely to be part of a larger problem due to medical error, which is usually caused by the low literacy patient not being able to properly communicate their medication and health concerns. Now that I have you depressed, let me tell you that help is never far away! There is The Literacy Center. Part of what I do every day is find resources to help our volunteers teach our students new skills. I find videos, books, worksheets, and complete lesson plans for nearly any task our students want to learn. There’s Google. Odds are, someone else has already done a lot of the prep work already, so utilize it! There are hundreds of teacher blogs that offer free complete lesson plans and activities for nearly everything our students are seeking to learn. There’s the app store. Let’s face it. Technology is here to stay. We might as well embrace it. There are so many apps for our phones and tablets, and most of them are free. If you aren’t sure where to start, please see number 1, then call 812.429.1222 and we can guide you to finding everything you need. Developed by World Education and the CDCP, this is a complete curriculum on breast and cervical cancer that contains 4 units and numerous lessons within each unit.